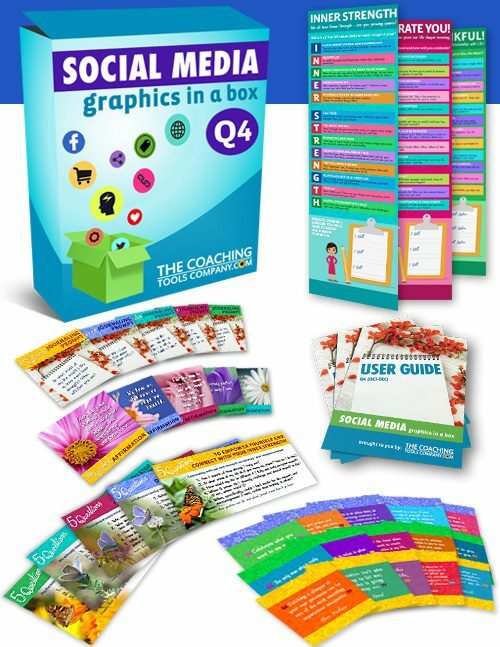 Save time, gain followers and wow your fans with this comprehensive package of 107 graphics, exclusively designed for life coaches. Get 3 complete months of brandable social posts to promote you! Innovative infographics establish you as a thought leader. These 3 original, results-oriented graphics help prospective clients think about 1) Life Balance, 2) Feeling Inspired and 3) Taking Action to Succeed in Life. All in preparation to work with you! Establish yourself as an expert! 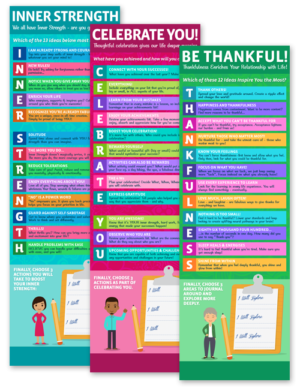 People will love these attractive and shareable infographics. Incite action! Your fans start the coaching process here. 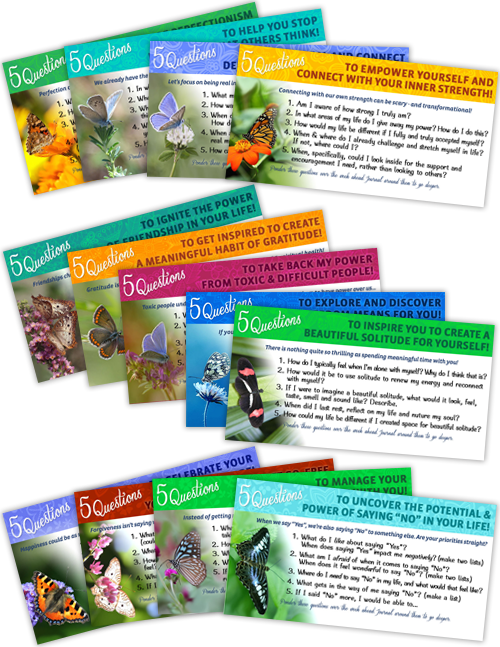 Invite your fans deeper into the coaching process with these inspirational sets of coaching questions. 13 beautiful graphics each have 5 powerful questions to engage your followers with the weekly topic. 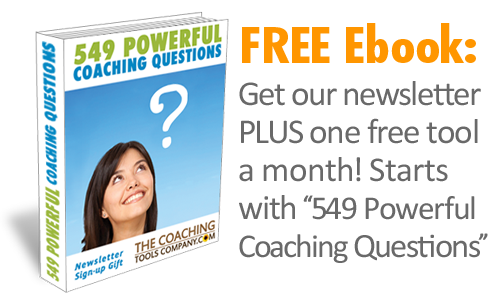 Engage your fans and followers with these Weekly Powerful Coaching Questions. Give your fans and followers a taste of coaching! Get people to take action and begin their coaching journey. 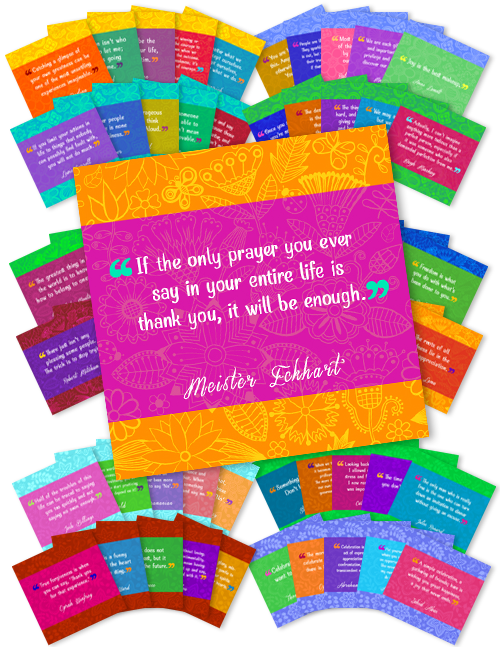 Give your fans DAILY inspiration with these 65 motivating quote graphics. Hand-picked topical wisdom from passionate leaders and thinkers. Get into a rhythm on social media, and build your presence! 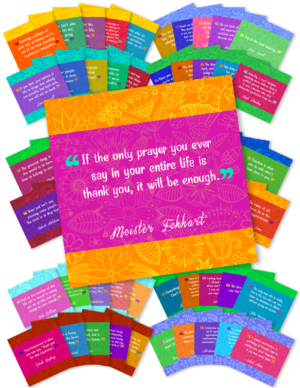 Curated collection of awesome quotes, aligned to weekly coaching topics. 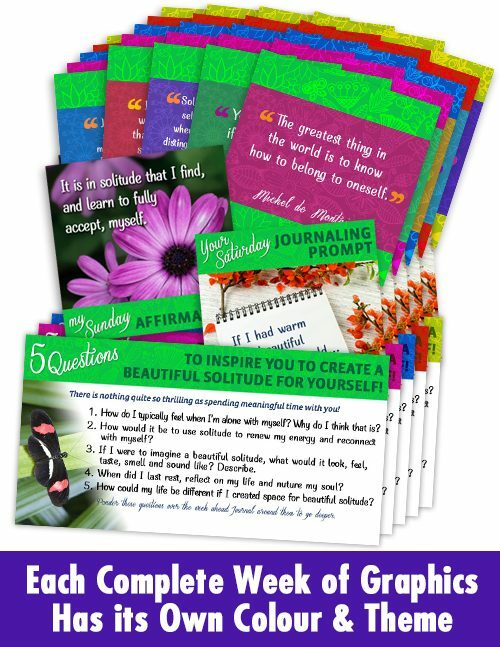 Engage your followers in thoughtful personal reflection to wrap-up every week, inviting deeper exploration of the 13 coaching topics. Stay connected with your fans and followers over the weekend. 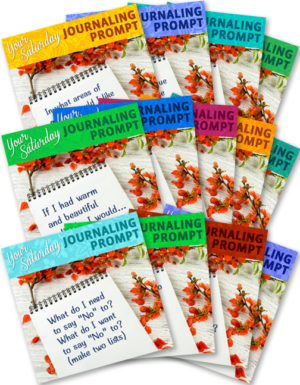 Give people inspiration to journal and delve into the weekly topics. 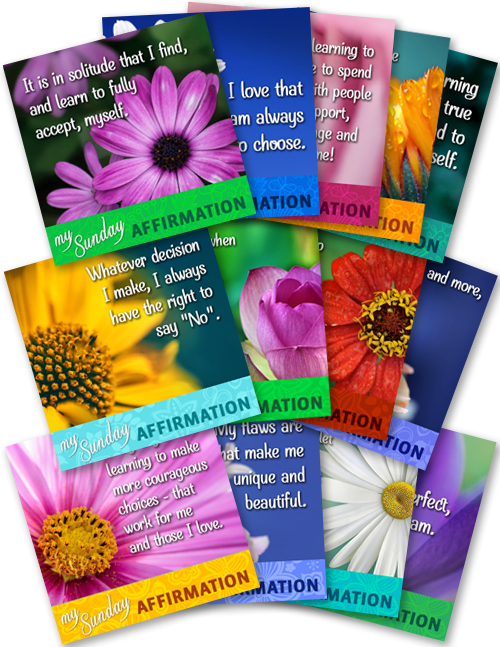 Nurture your fans and followers with these 13 beautiful flower themed affirmations. Help people imagine a new way of being and inspire new possibilities! 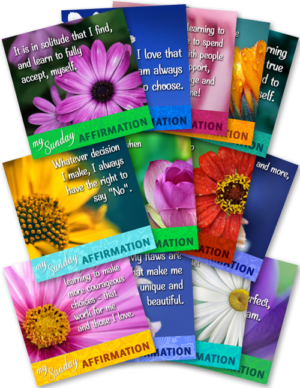 Be the source of inspiration for your fans & followers with these powerful affirmations. Offer people space for self-love and reflection on quiet Sundays. 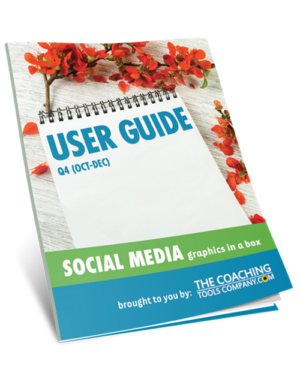 In this user guide you'll find why we created this product, the package contents, monthly and weekly coaching themes, guidelines and tips for posting the graphics and key product features and benefits. Get an overview of the package contents - including the monthly and weekly coaching themes. Get tips on how and when to post these graphics on social media. Understand the full features & benefits of this product. In this document you'll find the text for the Daily Quotes, Saturday Journaling Prompts and Sunday Affirmations so you can easily copy the quote text into your social media posts if you'd like. Easily find and copy the text for the quotes, journaling prompts and affirmations to repeat along with each graphic. In this "Where to Add Your Logo" document you will find instructions on specifically where to add your logo and image sizes and more. Get clear and easy instructions on where to put your logo for maximum impact! Save Time and Money! Stop wasting energy hunting for quality posts to share on social media! Boost your brand! Establish yourself as a "go to" coach. Less Stress: Neatly organized in folders by month, week and day. Grow and deepen your online relationships. 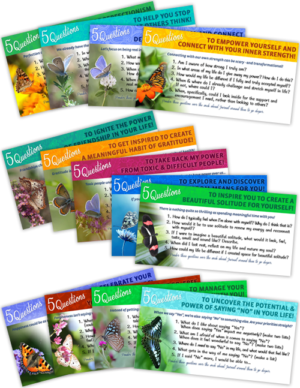 Exclusively designed for life coaches - weekly themes to engage and inspire! 107 brandable graphics to take your business to the next level. 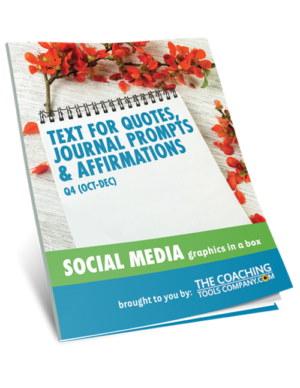 Beautiful social coaching tools your fans and followers will love - and share! Get 3 Months of ready-to-use, brandable Social Media Graphics exclusively designed for coaches! Save TIME and Money: Whether you do your own social media or hire someone to do it for you, you'll save LOTS of time. 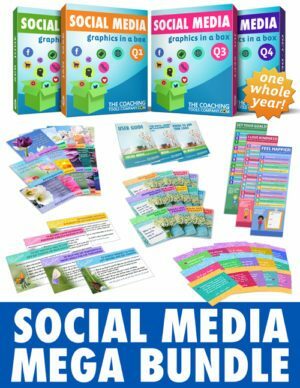 EASY to use: Neatly organized into folders by Month, Week and with the topic and day to use included in the filename - you're ready to go with 3 complete months of beautiful social media posts. The Guide: "Where to Add Your Logo"
Stop Worrying What Others Think! December Theme - Let it Go & Celebrate! SAVES TIME: 3 months worth of brandable, ready-to-use graphics! ATTRACTIVE: Bold, beautiful and each week has a theme and it's own colour scheme. EASY to use: Neatly organized into folders by Month, Week (and with the Topic and Day to use included in the filename), you're ready to go. BRANDABLE: Ready-to-use "as is" and you can also add your own branding! 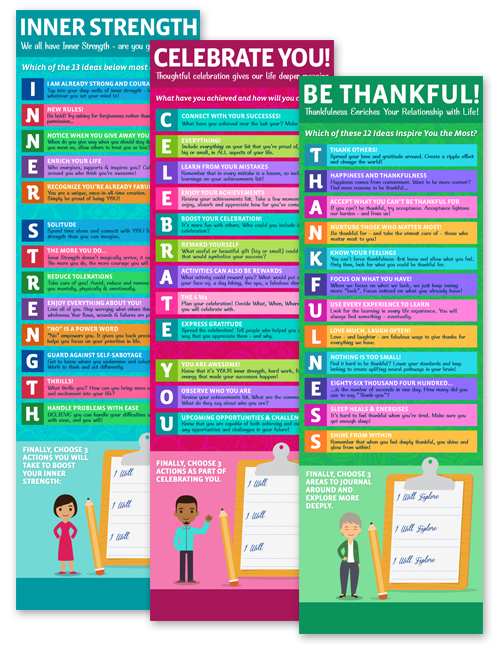 REUSABLE and FLEXIBLE: Reusable each year! You can also choose when you post the graphics and themes - rather than follow our suggestions. 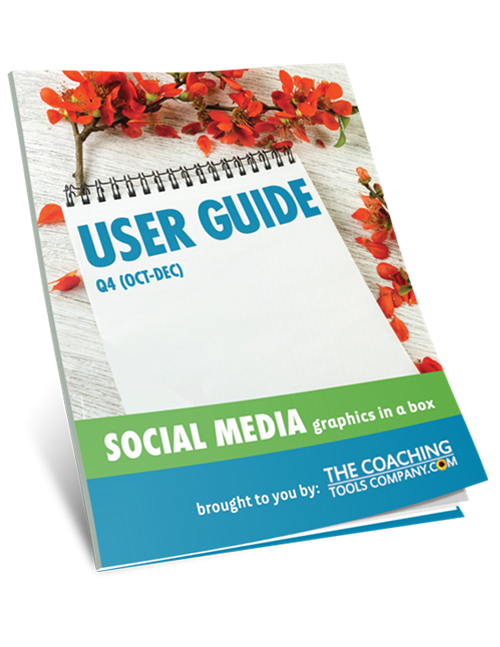 Get a COMPLETE year of Social Media Graphics exclusively designed for Coaches. 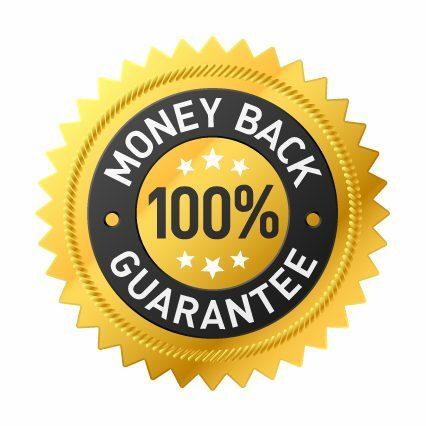 Save time, wow your fans & make Social Media EASY!